If you’re considering a health and fitness regime to get you back on track, chances are you’ve sought inspiration from various walks of life. Maybe you’ve done some research into how soldiers stay in shape, or what kind of diets Olympians eat, or maybe even how MMA fighters stay on top of their game. We can learn a lot from the people who make a living out of being in good shape, which is why occupational fitness is such a rich source of inspiration for those looking for the best ways to live active and healthy lifestyles. 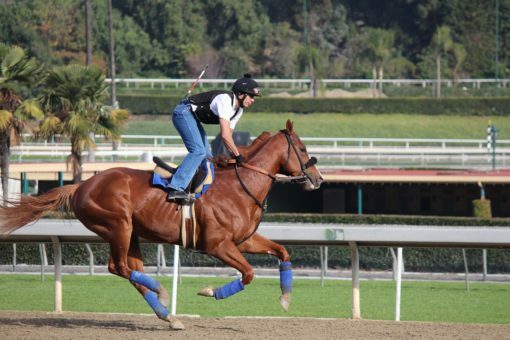 One such occupation that often gets overlooked by fitness fanatics is horse racing jockeys. Despite not being known for rocking massive abs, jockeys are some of the most in-shape people in the world. This is the result of being involved in one of the most competitive and physically intensive sports on the planet. The average racehorse weights around half a ton, or 1000lbs, according to The Horse, and it’s the jockey’s job to keep it in control whilst running and jumping at around 50 miles per hour. Being a professional jockey means being able to use every muscle in your body to full effect, which takes one hell of a fitness regime to pull it off. Here are five ways that jockeys stay in shape, to inspire you next time you’re feeling too tired to hit the treadmill. You may be familiar with stereotypes about jockeys being down to party, with post-race champagne flowing in the locker rooms and all-night ragers after the closing of major tournaments at venues like Surrey’s Kempton Park Racecourse being the stuff of legend. 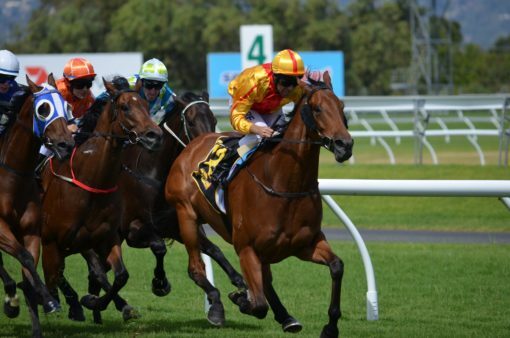 While the atmosphere on race days might be more festive for the audience, especially for savvy punters who scoped out the odds on Oddschecker before showing up, it’s slightly different for the jockeys. These days, the sport is so competitive that most jockeys won’t even risk any drinking at all, lest it damages their sporting abilities. That majority of professional jockeys report to being completely teetotal, which is of course, always a good step to fitness. The diet of a jockey is unlike any other professional athlete. This is because as well as getting enough carbs and protein to meet the intense workout requirements, they must also stay light enough to not burden the horse. CNN revealed that a typical jockey diet contains all the eggs and lean meat you might expect, but with much smaller portions, with only breakfast being the big meal, while the rest are usually tiny portions. Unsurprisingly, it’s the cardio workout which is best suited to the demands of the race track. Horse races don’t typically last too long, but the high-intensity means that cardio workouts are the best way to keep up the pace. A typical jockey workout consists of mostly cardio exercises that work out the legs, such as running, biking, and aerobics. The hallmark of the jockey fitness regime is commitment. In order to compete with the big leagues, many professional jockeys report working out every single day of the week, factoring in a half-day rest on Sundays. Training is pretty much the entirety of the job when they’re not on the track, meaning a superhuman level of commitment is required. Still, with winnings for the top jockeys now reaching over $1 million per race, you can see where they find the motivation. A jockey not only needs to have a strong core. They also need strong legs, biceps, and just about every other body part you can think of. This means full body workouts are an absolute necessity. Common full-body workouts for jockeys include swimming, bench press, rowing machines, barbell squats, and the full gamut of heavy lifting activities. Horse riding also tends to utilize every muscle in your body, which is why actually getting onto the track is an important part of any jockey’s workout regime. While you might not feel like you can keep up with the jockeys, there’s a lot about how they work out that you can learn from. If anything, the sheer commitment and stamina displayed by them should at least be enough to motivate you to hit the gym when you’re not feeling up to it.